Defense Logistics Agency (DLA) Information Operations J6 is the Agency’s knowledge broker, providing comprehensive, best practice Information Technology (IT) support to the Department of Defense (DOD) and DLA Business Community resulting in high quality information systems, customer support, efficient and economical computing, data management, electronic business, and telecommunications services. The DLA IT Enterprise manages the execution of IT projects across the Agency. Specifically it serves as the Information Operations business services broker, assessing, developing, and delivering a full range of IT solutions necessary to support the transformation and sustainment of the Information Operations mission and its associated commitment to the warfighter. Mission areas include the sustainment and evolution of an overarching DLA enterprise architecture, determination of proposed solutions, delivery of desired solutions (including oversight of related field activities, and sustainment of those solutions that are initially developed and delivered under a program manager), assurance that the solutions meet customer needs, and the effective integration of DLA’s IT solutions with other existing or planned logistics IT solutions in DOD. 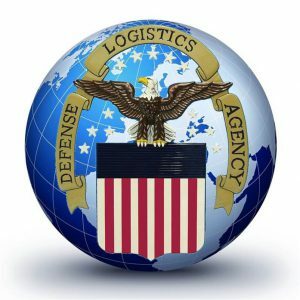 Additionally, J6 guides and oversees the operations and ongoing transformation of related field and headquarters activities that provide cataloging and transactional processing support for the entire DOD logistics system and our numerous Federal customers. The place of performance for these tasks is within the DLA Headquarters complex located at Fort Belvoir, Virginia as well as satellite offices in and around the Northern Virginia/Washington D.C. metro area and DOD locations both CONUS and OCONUS.